Wet grit and road salts that get splashed on your rims and get caught in your brake pads can wear out your sidewalls in a season if you are a daily rider. 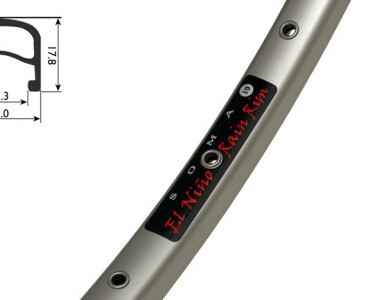 These El Nino’s skip machining on the sidewalls to maintain the thickness of your braking surface. 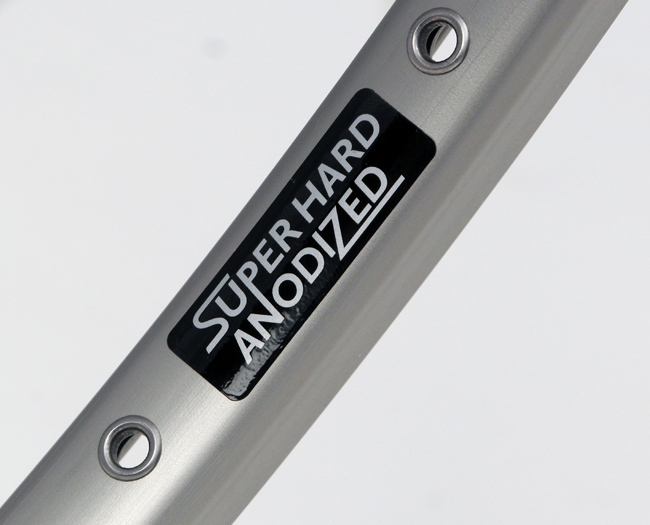 Plus they use Hard Anodizing to make the rim's surface extra durable. 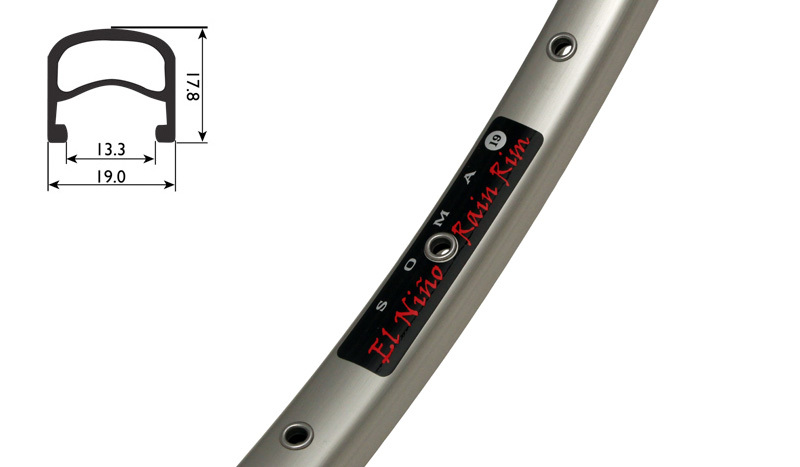 - Classic box section aluminum rim:19mm externai width/13.3 internal width.